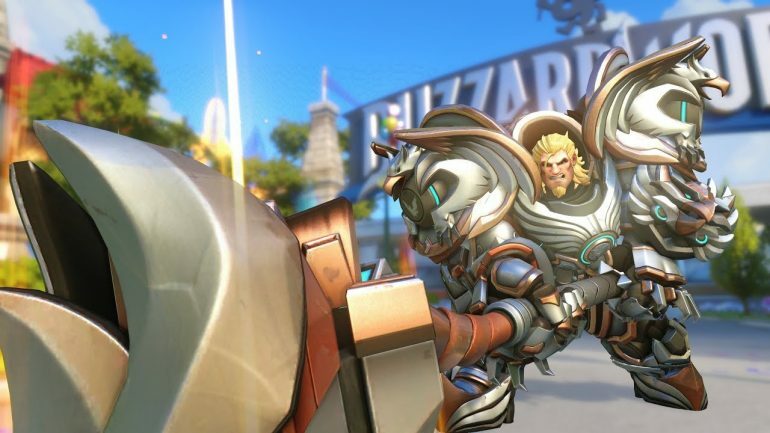 Overwatch players who’ve picked or had Reinhardt in any match since last night might have been surprised by some overly-enthusiastic messages coming from him when using text chat. Blizzard is changing any message typed by a Reinhardt player to be in full caps with extra exclamation marks—and the developer has one of his voicelines added to the end of the message also in full caps with exclamation marks. This seems to be part of Overwatch’s April Fools’ jokes, which is now making Reinhardt players perfectly roleplay the German soldier in text chat. A Reddit user showed these changes in action. A message that would normally be “everything in caps haha” became “EVERYTHING IN CAPS HAHA!!! PRECISION GERMAN ENGINEERING!! !” for all players in the match to see. It fits Reinhardt so well that Overwatch players used to the character might even hear him saying that in their heads. Players spotted this change on PC and in text chat only. It might be live on consoles as well, but players on these platforms may have a hard time spotting this hilarious addition due to difficulties with using text chat. No changes have been made to voice chat with Reinhardt so far, although we would love to see some.